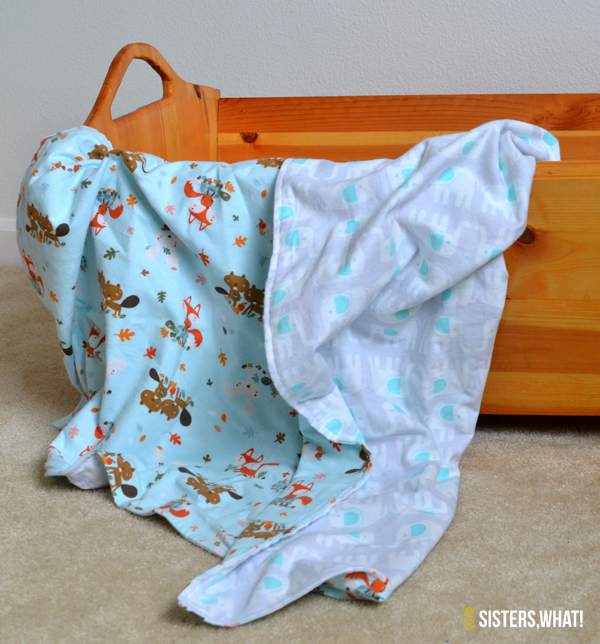 ' Minky and Flannel Baby Blankets: A Sewing Tutorial - Sisters, What! 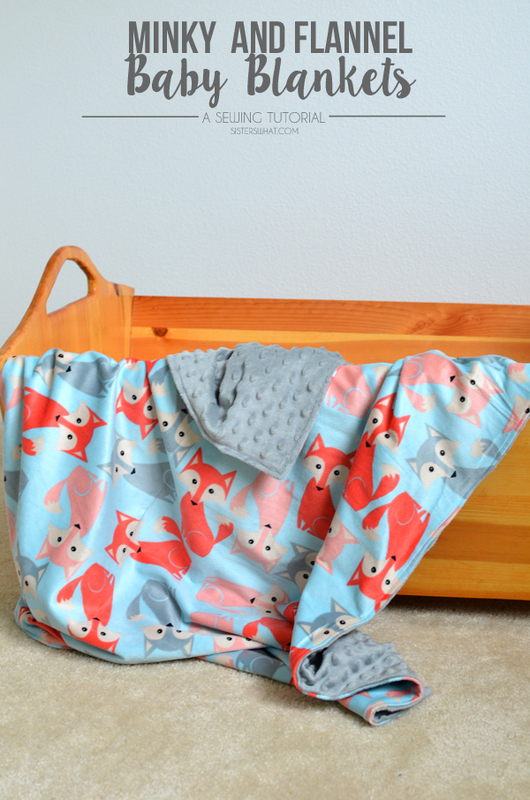 Since having our first little one, we have ended up with TONS of baby blankets. Most of them were made and given to me by my awesome mom, sisters and friends. 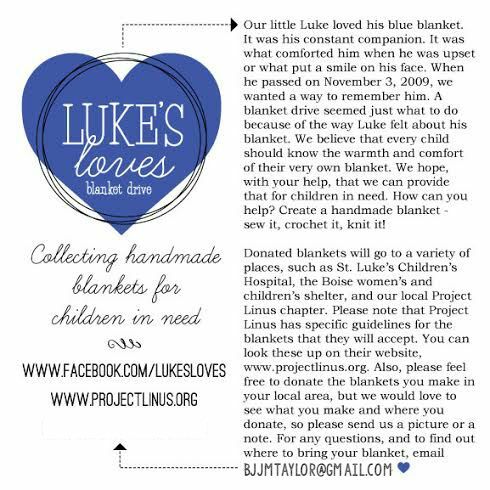 Kimberly, from A Girl and A Glue Gun is doing a blanket drive for Luke's Love Blanket Drive. See Below. 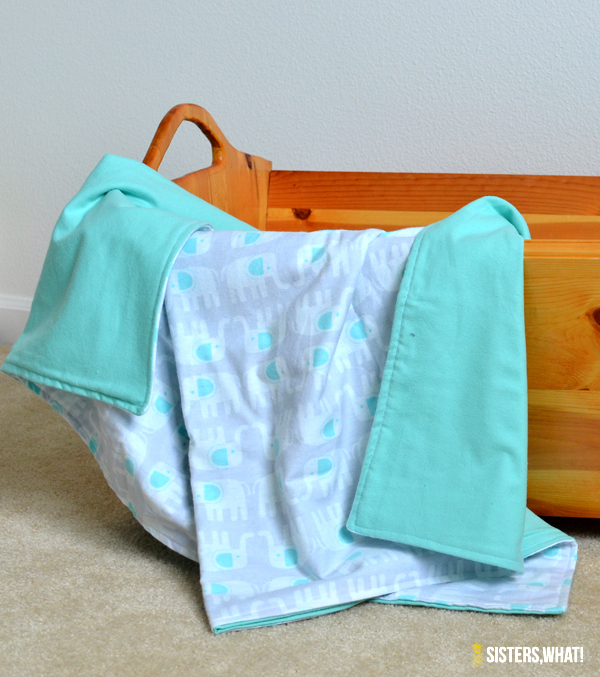 I'm excited to join her and a many other bloggers to share a blanket tutorial. 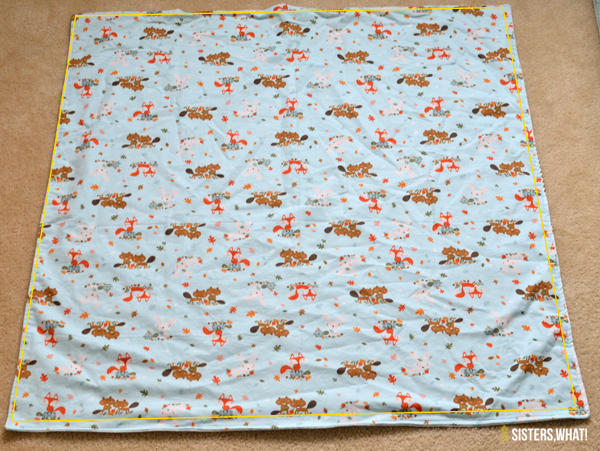 *for the fox minky blanket: I got the fabric from Joanns. The fox is Ultra Cuddle and the other just minky. ||1|| I like my blankets the full yard big, but you can cut it to be a square. After you determine your size, place right sides together. 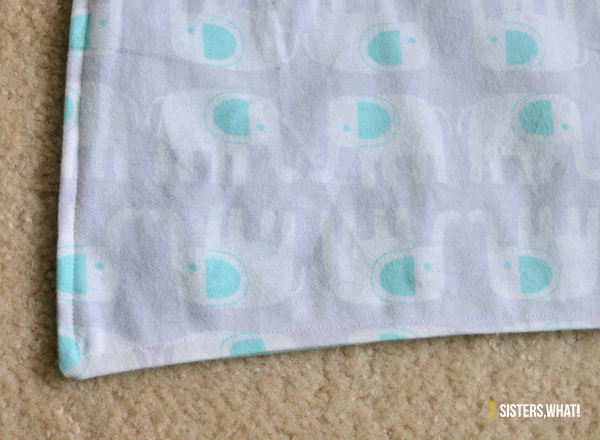 ||2|| Sew around the edge of the whole blanket, leaving a small opening. ||3|| Turn right side out. If you want, you can add a nice finished touch by top stitching the outer edge. Now go check out Kimberly's blog for details on how you can donate your own blanket. 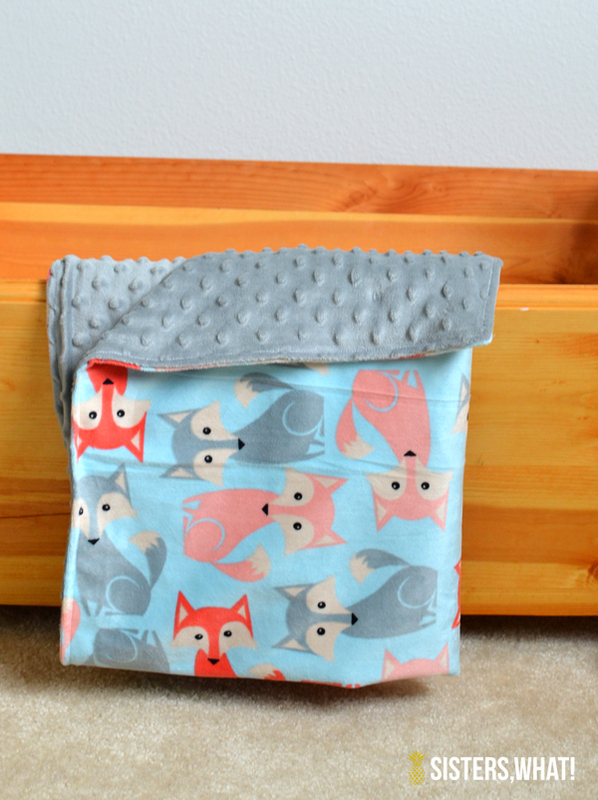 Homemade blankets are definitely better than store bought : ).